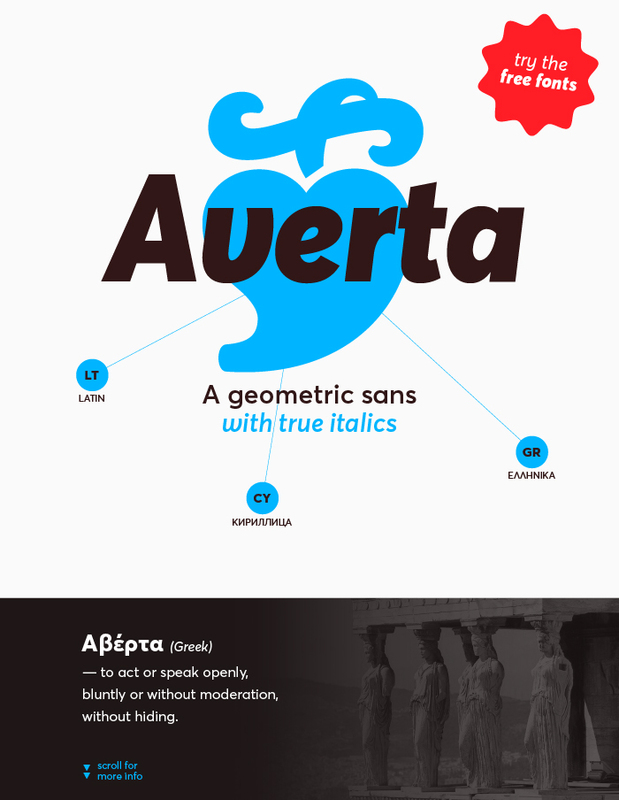 Averta is a geometric sans serif family made by the award-winning designer Kostas Bartsokas. 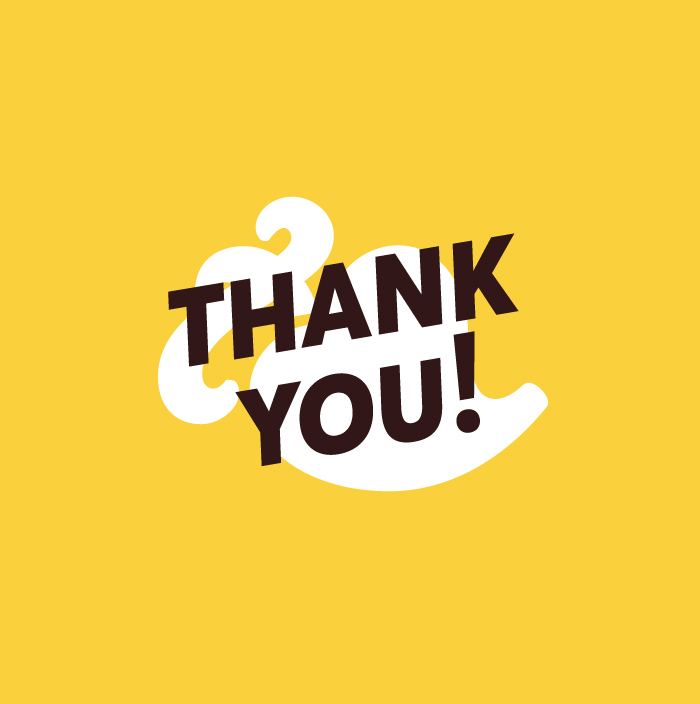 The typeface has a simple, yet appealing, personality. The purely geometric rounds, open apertures, and its low contrast strokes manage to express an unmoderated, straightforward tone resulting in a modernist, neutral and friendly typeface. Averta offers extensive OpenType features and for the user who doesn’t require all of them, there is Averta Standard comes with just alternate glyphs, case sensitive forms, and contextual alternates. 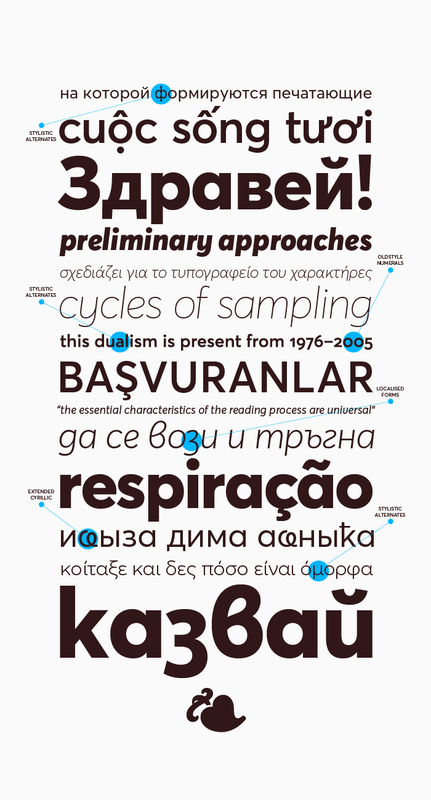 The typeface comes in eight weights with matching italics and extensive language support over two hundred languages with an extended Latin, Cyrillic (Russian, Bulgarian, and Serbian/Macedonian alternates), Greek and Vietnamese character set. 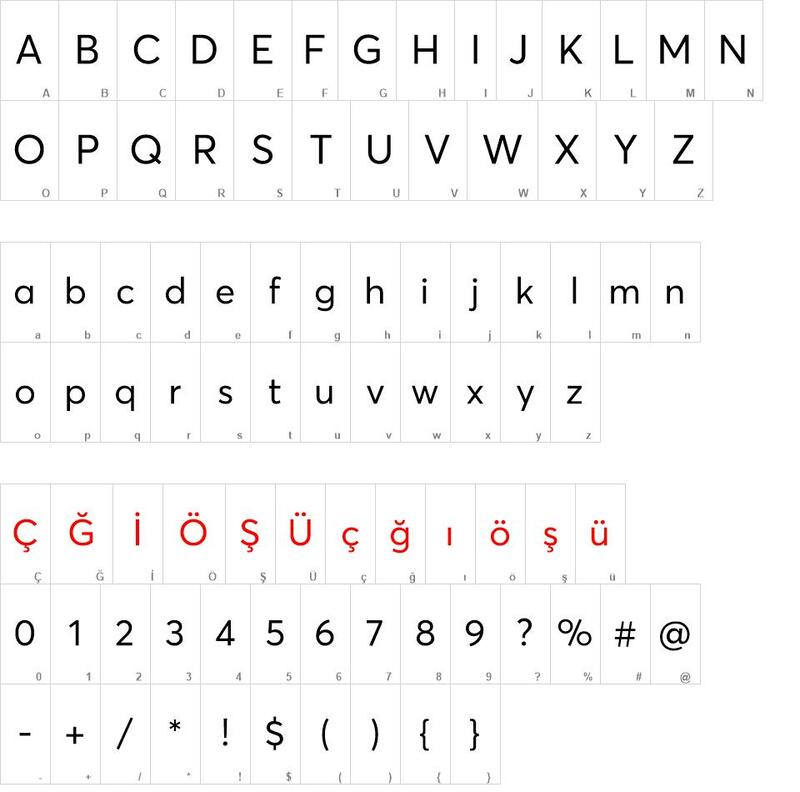 Averta font download, Averta font.